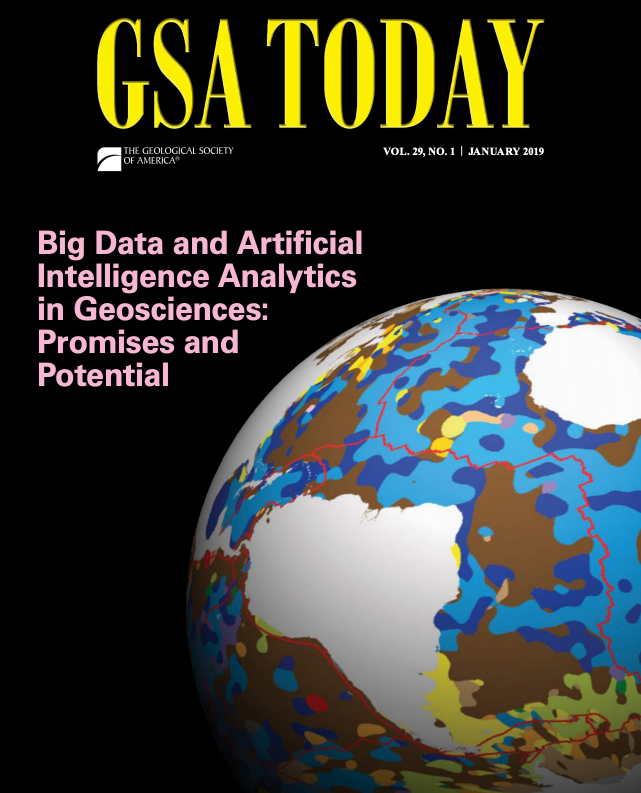 Roberto Spina, a computational geologist from Italy, wrote a lead article in GSA Today, in which he reviews the future of Big Data and Artificial Intelligence Analytics in Geosciences, using Adriana Dutkiwicz’s digital seafloor lithology map published 3 years ago as a ground-breaking example. The article includes a South Atlantic view of the virtual globe portraying her map, which has been viewed over 150,000 times since it was published and is often used for teaching. The article and globe are also featured on the cover of GSA Today (below).